Tomorrow we re-test our 500m. Are you ready? Do you have a game plan? What will your focus and split be for every 10 strokes? Will you complete it in 50 strokes or will the rating be higher and require 60 strokes? A few things to think about as you mentally prepare for tomorrow. 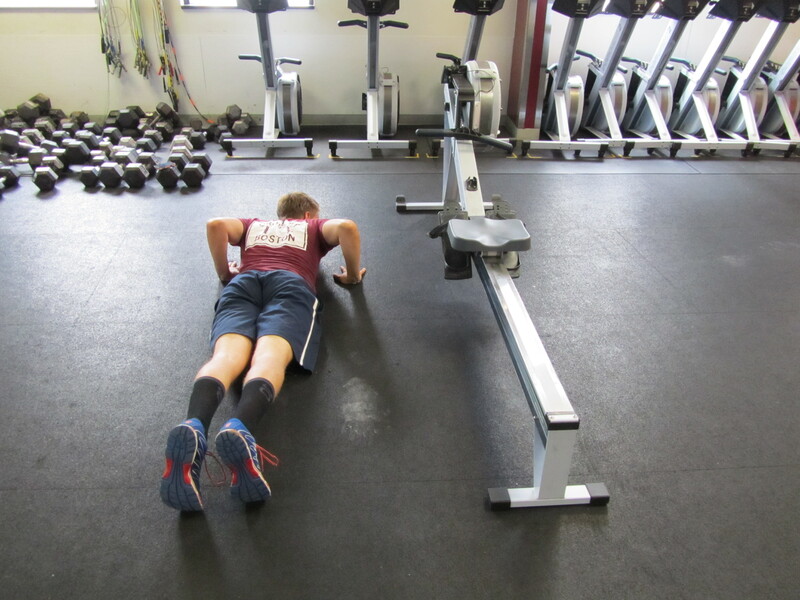 Today’s Rowing WOD is an opportunity to prepare for your finishing sprint tomorrow. The burpees will start to gas you and push you to stay mentally strong as you fight for those last 15 to 20 strokes. See if you can build up to your sprint pace in the first 50m and then attack the last 100m as if you were in a race or a test. When you transition to the burpees work on the quick release and rolling right to the floor without standing up. Fire it Up! Weekend here we come! Post time and splits to comments.